Trump appeared to have been briefed on the origin story of electric co-ops, which goes something like this: By the onset of the Great Depression, few people in the rural United States had electricity at home—about 10 percent. The power companies that had lit up the cities simply didn’t see enough profit in serving far-flung farmers. But gradually some of those farmers started forming electric cooperatives—utility companies owned and governed by their customers—and strung up their own lines. Many bought cheap power from dams on federal land. Their ingenuity became a progressive New Deal program, which Franklin Roosevelt initiated in 1935 and Congress funded the following year. The Department of Agriculture began dispensing low-interest loans across the country. Farmers set up their own power lines and co-ops, even as corporate competitors tried to undermine them, building stray “spite lines” through their prospective territories. But the cooperators prevailed. They switched on their own lights. 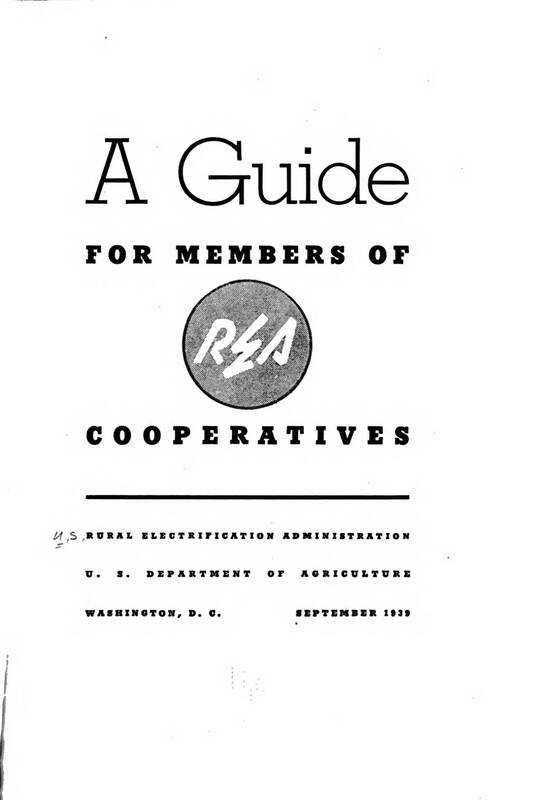 A government guide for members of rural electrification cooperatives, 1939. We typically think of our democratic institutions as having to do with politicians and governments. But there are democratic businesses, too—not just these electric co-ops, but also hulking credit unions, mutual-insurance companies, and ubiquitous cooperative brands from Land O’Lakes to the Associated Press. Their democracy is fragile. When it’s not exercised or noticed, these creatures act on their own volition. Among those celebrating after the 2016 election was Jim Matheson, a former Democratic congressman from Utah who now serves as the association’s CEO. “Rural America’s voice was heard in this election, and it will be a powerful voice moving forward,” he was quoted as saying in a press release published on November 14. A spike in rural, right-leaning voter turnout coincided with his organization’s Co-ops Vote campaign, which mobilized member-owners in a subset of the country’s 838 local electric cooperatives. What’s more, the next president would be the candidate who had promised to scrap his predecessor’s Clean Power Plan, fulfilling a chief policy priority of the NRECA under Matheson. Subsequent press releases praised Trump’s climate-denialist, regulation-smashing cabinet appointees. The co-ops are a remnant of rural progressive movements, and they helped deliver the Electoral College to Trump. 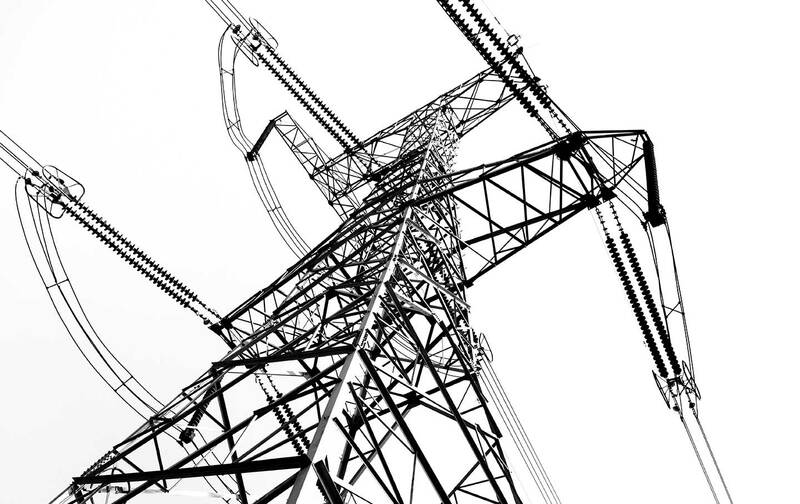 Electric cooperatives are conservative institutions, carrying out the business of reliability while balancing their members’ interests with formidable inertia. But they’re also poised to lead a radical shift to a more renewable distributed-energy grid. They can be fiefdoms for long-entrenched establishments, but they’re also bastions of bottom-up, local self-governance. They tend to be far less regulated by states than investor-owned utilities, on the rationale that their member-owners do their own regulation. This is a chunk of the US energy system that depends not just on the whims of investors or on the promises of presidents, but on the readiness of the people who use it to organize. engineer at the Delta-Montrose Electric Association, a co-op on the western end of Colorado. 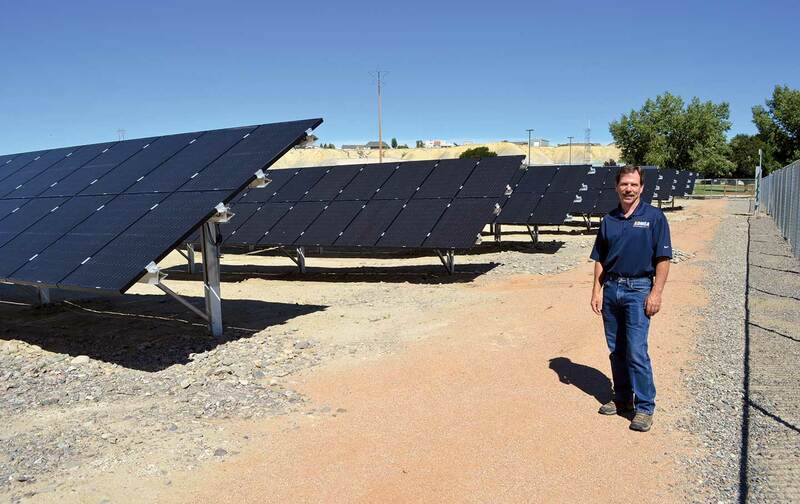 I followed him as he checked out a company pickup truck from the DMEA’s headquarters, a complex that includes one of the cooperative’s two 10-kilowatt solar farms. From there he drove me through the dusty landscape to the co-op’s first two hydroelectric plants along South Canal, a waterway piped in from the mountains. They opened in 2013 and operate mostly without human intervention, but Heneghan checks in on them personally when he can. “I like to start the plant manually,” he told me in one of the control rooms. A small man of terrific posture, he made his way among the towering, whirring machines like a librarian among shelves of rare books. The first two plants proved the promise of the business model. Soon, other developers wanted to build plants along South Canal and sell the power to the local co-op, too. By 2015, the model was the subject of a federal regulatory dispute. The DMEA had begun bucking the co-op inertia. Like most electric “distribution” co-ops, the DMEA is an owner-member of a larger co-op. These are called “generation and transmission” co-ops, or G&Ts, and they run big power plants that smaller, local co-ops cannot afford to manage themselves. The contract the DMEA has with its G&T, Tri-State, specifies that Tri-State must provide at least 95 percent of the energy the DMEA sells. This has long been a practical economic arrangement, but one with dirty consequences: Federal policy dating to the 1970s ensured that much of the G&Ts’ investment went into coal plants. But the DMEA has been finding opportunities to generate more of its power locally, from ever-cheaper solar panels and hydro dams to the methane leaking from the area’s retired mines. The member-elected board liked these opportunities, for reasons of cost, jobs, and the environment. The DMEA relied on Tri-State for most of its power, but its contract was getting in the way of adopting greener energy sources that could bring needed jobs for members. “Part of the culture here in this area is the desire to keep things local,” says Virginia Harman, vice president of member relations and human resources at the co-op. When the DMEA hired Jasen Bronec as CEO from a Montana co-op in 2014, he brought with him a new strategy; a half-smile sneaks into Bronec’s all-business demeanor when he talks about it. The co-op filed a request with the Federal Regulatory Commission, inquiring about whether a Carter-era law enabled the DMEA to source its own local energy if a more affordable, renewable option were to compete with a standing contract. In June 2015, the FERC ruled that the DMEA was in fact required to do so. Tri-State objected, but the ruling has so far held. Heneghan lives on a farm so out of the way that it’s off even the DMEA grid. He produces his own power there. “I’m confident that we won’t keep the central-generation model,” he said, as we drove on the narrow dirt roads between dams. “There are so many things that point to a structural change in the electrical industry.” He compared the change to what cellular did to telephones. He daydreamed about testing one of the new Tesla Powerwall batteries and reveled in the ongoing convergence of moral, environmental, technological, and economic imperatives—if only we allow ourselves to embrace them. Heneghan believes that co-ops are uniquely positioned to benefit. Their lean, local, customer-centered kind of business has already made them pioneers in easy, low-risk financing for energy-efficiency improvements and renewables. In 2016, about a quarter of the power delivered to Tri-State’s members came from renewables, and the G&T announced the closure of two coal stations that were no longer economical; according to the NRECA, the co-op sector’s solar capacity is set to double over the course of 2017. Co-ops not locked into G&T contracts have been especially ambitious in switching to renewables. The DMEA is also one of the co-ops across the country that have begun bringing broadband Internet to underserved rural communities—a development that parallels the circumstances that gave rise to electric co-ops in the first place. Abroad, especially in Denmark and Germany, cooperative ownership has proven useful for scaling solar and wind facilities. As I concluded my visit to the DMEA’s headquarters, I met a woman on the way out the door who had come to pay her bill. Photos of board members hung on the wall next to us. I asked if she liked being a member of the co-op, and she looked at me like I was speaking the wrong language. I asked the question again but said “customer” instead. She smiled and said she’d been getting power from the DMEA for 20 years and loved it—great service, super-reliable. She’d grown up in Hawaii with no electricity, so she appreciated being able to turn the lights on when she came home. Five times during the fall of 2016, Della Brown-Davis and her 12-year-old daughter made the two-and-a-half-hour drive, each way, from their home in Tylertown, Mississippi, to Jackson. Their purpose was to learn about electric cooperatives. Brown-Davis is a schoolteacher and therapist, as well as a member-owner of the Magnolia Electric Power Association, one of the nine co-ops that have fallen under the scrutiny of One Voice, an affiliate of the state’s NAACP. Before it could make any headway, One Voice had to teach co-op members what it means to be cooperators. Brown-Davis and her daughter became acquainted with the lofty cooperative principles shared by co-ops around the world. They learned how to read the 990 tax forms that the electric co-ops’ nonprofit status requires they make public. And they saw evidence that their fellow African-American co-op members across Mississippi were not getting their due—exorbitant bills, all-white boards in black-majority districts, opaque governance procedures that prevented participation. Brown-Davis noticed a picture of white high-school students representing her co-op on a trip to Washington, DC. On the drives home from Jackson, she and her daughter would discuss what they’d learned. “It’s disappointing to find that, in this day and age, so many things are occurring the way they did back in the ’50s and the ’60s,” Brown-Davis says. In 2014, Benita Wells, One Voice’s chief financial officer, helped out on a review of co-ops by the state Public Service Commission. It was her first exposure to the distinct mechanics of cooperative accounting, but she knew enough to notice incongruities. Executives were getting inflated salaries, together with board members who had been on the payroll for decades. Co-ops weren’t returning millions of dollars in accumulated equity to the members, to the point of risking their privileges as nonprofits. “None of the numbers added up,” she says. Making her task harder, co-ops have few disclosure requirements, and they frequently resist sharing financials even with their members. One Voice invited researchers from MIT and Cornell to investigate. They conducted listening tours, scrutinized utility bills across the state’s Black Belt, and used what they learned to help develop the Electric Cooperative Leadership Institute. Brown-Davis was part of the institute’s first cohort, among other co-op customers ready to organize their neighbors. But the first day, many weren’t yet aware of their status as co-owners. Mississippi is unusually dense with electric cooperatives. Nearly half of residents get their power from one. And although 37 percent of Mississippians are African-American, One Voice found they accounted for just 6.6 percent of co-op board seats. Women held only 4 percent. In the largely poor districts the campaign identified, residents frequently spent over 40 percent of their income on electricity. African American. Roanoke has meanwhile become the first co-op in the state to adopt financing for members to make energy-efficiency improvements. It also allows members to buy in on a community solar array and is developing a broadband Internet program. The successful organizing at Roanoke is more the exception than the rule. During the 1980s and ’90s, the Southern Regional Council mounted the Co-op Democracy and Development Project, a series of campaigns in co-op districts across the South, including some of the same ones that One Voice is now targeting. The campaigns were largely unsuccessful; it was too easy for incumbent boards to adjust the bylaws and election procedures to protect themselves. In some cases, these co-ops were carrying on habits that go back to their origins in the 1930s and ’40s, when white residents could expect to see power lines earlier and cheaper than their black neighbors. But One Voice may fare differently. Before the first set of trainings was over, Johnson told me, at least two co-ops appointed their first African-American directors. from the kind of organizing that One Voice is undertaking. A spokesman for the state association, Electric Cooperatives of Mississippi, told me he’d never heard of the campaign. His counterpart at the NRECA merely alluded to the organization’s general support for fair elections. Nor have concerns about racial justice unsettled the Rural Utilities Service, whose lending comes with a requirement of nondiscrimination. “We have a very low level of complaint to the Office of Civil Rights on issues like this,” says Christopher McLean. Even so, the concerns motivating co-op members like Della Brown-Davis are limited neither to Mississippi nor to African Americans. They are symptoms of more widespread neglect. Jim Cooper, a Democratic congressman from the Tennessee district that includes Nashville, was raised by a father who helped start an electric co-op where they lived. When Cooper later visited co-ops as a politician, he’d make a point of browsing their tax forms, and he noticed some of the same things that Benita Wells did. “I’d congratulate them for being so wealthy, and they’d look at me like I was crazy,” Cooper tells me. This led him into an investigation of what he now calls “a massive, nationwide cover-up.” He published his findings in a scathing 2008 article in the Harvard Journal on Legislation. In particular, he pointed out the billions of dollars in “capital credits” that co-ops collectively hold—excess revenues technically owned by members, but that often go unclaimed, serving as a pool of interest-free financing. Policies vary, but some co-ops even prevent members or their families from recouping equity. This can go on for generations. “Local co-ops are primarily owned by dead people,” Cooper says. The see-no-evil stance of the associations has helped inspire a new wave of agitation, of which One Voice is only a part. We Own It, for instance, is a new network started by young but seasoned cooperators determined to support organizing among co-op members—rather than the executives and directors who steer the associations. They’re connecting activist members at electric co-ops across the country, helping them learn from one another about policies to seek and strategies for winning them. In an online forum, they pass around news about co-op corruption alongside tricks for financing solar power and efficiency improvements. “Our goal is to build a social movement,” says founder Jake Schlachter. A movement will take some doing. According to a study by the Institute for Local Self-Reliance, nearly three-quarters of co-ops see voter turnout of less than 10 percent in board elections. When I attended a board-candidate forum for an electric co-op near where I live, in Colorado, there were more candidates and staff present than anyone else. Only one of the four seats on the ballot was contested. (Hundreds of members come to the annual meetings, however, which include door prizes, a hearty dinner, live entertainment, and a person in a robot suit.) By way of explanation, a staff member repeated what I’ve been told by the leaders of other big co-ops: Low turnout means that members are satisfied. The conditions of managerial capture are not quite so arbitrary. The best and worst co-op managers alike carry on their books and in their habits the weight of decades-long contracts, of old loan conditions, of billion-dollar coal plants. There have been astonishing cases of self-dealing by boards and staff. But co-ops can still serve as vehicles of participatory economics on a vast scale, just as when farmers suspicious of banks and abandoned by capitalists built utilities for themselves—so well that Washington saw fit to give them bank-rate loans. It was a rare bit of development policy designed to actually empower the people it was supposed to help.